A recent Facebook conversation I followed was about coins. The writer said coins drove him nuts and suggested they should be canned. Most of the respondents disagreed for reasons ranging from saved coins helped pay for vacations to fondness for them. I pay for less and less with cash but am nevertheless on the side of saving coins if only for nostalgic reasons. As I use my credit card a lot I’m fine with paying for food or anything else with mine. But plenty of folks are paid in cash or don’t have one for whatever reason. They also might not own a smartphone to access digital payment via Apple Pay for example. Some 22 million Americans don’t have a bank account Furhmeister reported. An early adopter whose restaurant is now closed told him that if customers didn’t even have a debit card they most likely didn’t have a bank account and shouldn’t expect to eat in his [now defunct] restaurant. 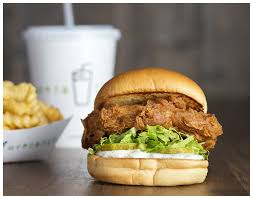 Celebrity restaurateur Danny Meyer gave up the model in his Shake Shack burger chain because of customer complaints according to Fuhrmeister. His pricey Union Square Hospitality Group restaurants such as Union Square Café and Gramercy Tavern remain cash-free. There are other issues to consider, good and bad. A cashless retail business won’t be robbed. 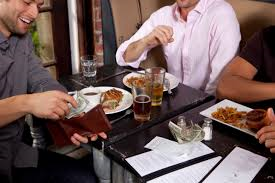 Also, many people pay the restaurant bill by credit card and leave tips in cash so that the right person gets the money. Would this continue or would the restaurant owner continue to control the tips? [Meyer, mentioned above, runs tipless restaurants as well.] The government must love the concept as there’s no revenue to hide from the tax man. Do you pay for things mostly in cash, credit card or digitally? Do you like coins? Would you miss cash if it no longer existed? Do you agree with McCart that big time beneficiaries of the credit card/debit card only model are businesses and banks–Uncle Sam too–with consumers the losers? Will the cashless trend spread to other retail industries if it’s not stopped? Should the cashless retail model be outlawed? This entry was posted on Monday, December 3rd, 2018 at 2:08 pm	and is filed under Banking, Cash, Credit Card, Restaurant	. You can follow any responses to this entry through the RSS 2.0 feed. You can leave a response, or trackback from your own site. I don’t like being surprised by credit cards bills when they come due, so I continue to pay cash for some restaurant tabs and household products. I wouldn’t patronize a restaurant that didn’t accept cash. Also, not everyone has enough credit to obtain a card and I don’t think they should be penalized for this. I wondered whether there were women today as backward as once I was left, after a divorce, with no credit of my own when I’d paid all the credit card bills and all were in our joint names. I didn’t mention it in the post because I figured women today are far smarter than I was in the day. I don’t like the idea of being told how a retail business wants to be paid. I understand why one might not accept a credit card brand that charges too much of a fee. Then there are businesses too small to pay for any fees so I accept a cash-only restriction from them. Otherwise, let it be my choice thanks. In the last month I noticed a new restaurant (chain, actually) in my upper west side neighborhood that is “cashless:” DigIn and a new gourmet coffee shop. I was a late-comer to Apple Pay but LOVE it! Most days I don’t take any cash and I can catch a taxi, shop at Fairway and Trader Joe’s. 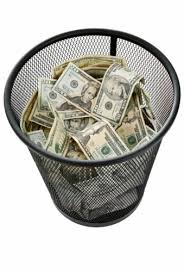 Like it or not, I believe “cashless” is a sign of the time. Just as digital fingerprints and “finger signatures” are the new norm. I’m always interested in what Danny Meyer is up to; he may be a head of the curve with his high-end restaurants. Good for you! Cutting edge. With every headline we hear about hackers. Recently it was Marriott’s customers over the last five years. Passport information was included this time. I am a luddite who wants nothing to do with Apple Pay. It’s one more way and a step closer to taking from me what little I own. In addition, should something go wrong, I’ve not been impressed with the speed I or colleagues have had to wait for iPhone repairs. I’d anticipate a similar sluggish response to glitches with Apple Pay. I’m clearly over cautious and behind in this regard. Before jumping on board I’d like to know that some company has a handle on protecting its customers from hackers. At the moment I see no evidence of such safeguards. For some reason the expression, “the tyranny of gentrification,” comes to mind. Are we all to become toothpaste which has been squeezed back into the tube, with our every action recorded, and therefore presumably guided, by computers? No thank you. Let’s give a “heave ho!” to the cookie cutters. I want the option to pay cash for what I buy, outside of big brother’s view if I want, and that goes for more than just restaurants. I agree with your comment–choice, please! 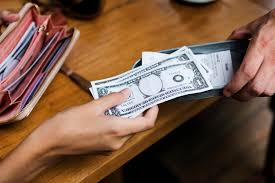 We have seen a trend lately, even at our favorite restaurants, that they are adding 4% to your check if you use a credit card. I thought using credit cards makes things easier for all —— but with the increase, and makes you think twice about what is going on. I haven’t noticed that and wonder if a business will have the nerve to force you to pay with a credit card and then penalize you for doing so! Confusing signals. We’ll keep an eye on the situation. Richard Torees correctly observed “the [cashless] business model is classist and racist,” I am in agreement with ASK,Protius, Hank Goldman and Jeanne Byington on the myriad issues they refer to. I think the post is very timely. Danny Meyer sounds pretentious and his practices make me want to not frequent anything he owns. Anyway, I think Shake Shack is a purveyor of some unreognizable items that seem to be non-food. Melissa M’Cart’s observation that about businesses and banks benefiting at the expense of consumers seems quite accurate.I have no interest in further enriching either. I do not want myriad new ways to be found and hacked via digital transactions which always have extremely complicated measures for reparation. I want to choose how I spend my money and how I pay. I don’t want more accumulation of anything about my life on the net than is necessary for me to function as I choose. It is interesting to note that the amount of work involved for the consumer keeping track of digital identities, passwords, records etc. is tedious, time-consuming and for those not inclined to accounting for a profession or hobby, annoying. Beautifully written. As for the myriad digital identities–there are businesses that offer to store them for you so you don’t have to keep track. Talk about foxes in the henhouse! Jeepers creepers. There are so many things happening today that make me slap my head and think “WHO IS FALLING FOR THIS?” Millions endorse heartless politicians. These voters never for a moment think “there but for the grace of God go I or my parents” when the politicians endorse cutbacks to Medicaid, Medicare and Social Security and worse. Other millions invite into their homes gizmos like Alexa that capture every aspect of their lives while supposedly simplifying already simple tasks such as turning on a light or a computer. What’s really happening is opening another personal window to enrich the data bank of manufacturers. Reminds me of the computer printer model–a printer that costs little but to work requires extremely costly cartridges. Only here, a person is giving up much more than cash for a cartridge. A thundering NO for cashless restaurants — or anything for that matter. The only beneficiary is the credit card. 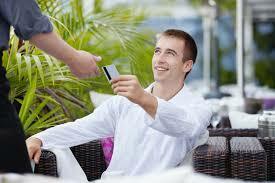 Preferential treatment is often given to the cash customer who saves both himself and the establishment from card fees. Bad idea all around. There are plenty of people paid in cash today and as mentioned before, who are tipped in cash. Why should they be penalized when they want to spend their hard won earnings? There’s enough NO all around us…our choices shrinking. Let this not be yet another hurdle.